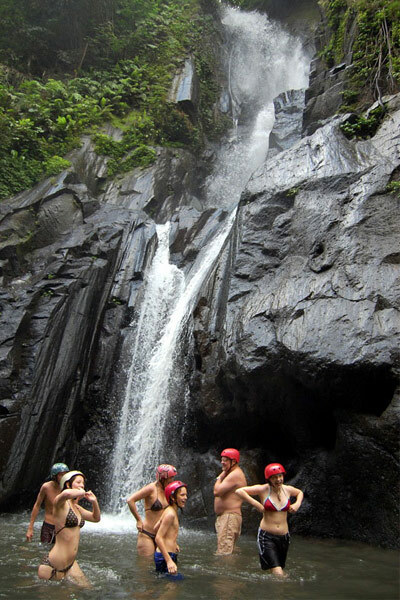 GREAT FOR ADVENTURE LOVERS! MOST CHALLENGING RAFTING SITE IN BALI. 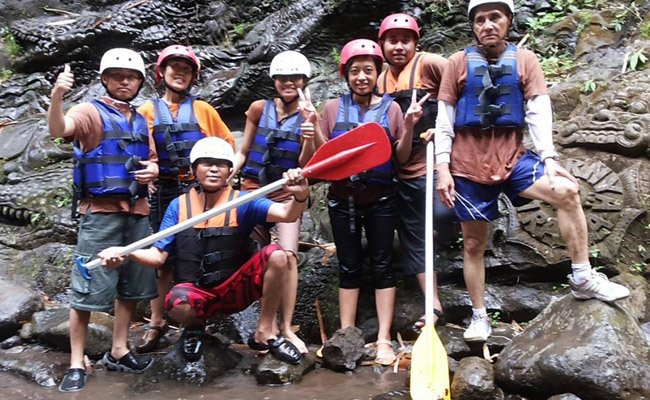 Ayung River in Ubud is one of the most challenging white water rafting sites in Bali, has a stable water condition in all year round, although during the dry season you can still get a fun rafting here. 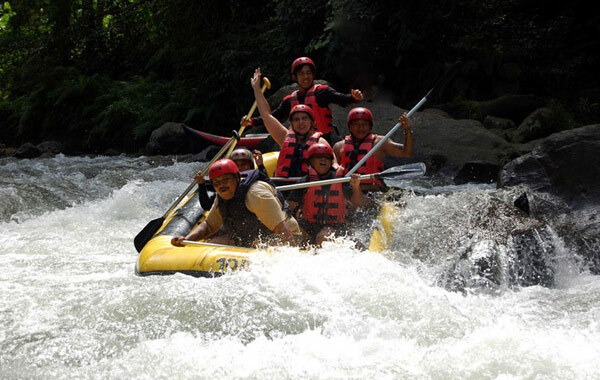 Ayung Rafting is suitable for you if you are looking for a adrenaline rush in outdoor activity. It has medium track with a rapid level of 2-3 for most of the parts. 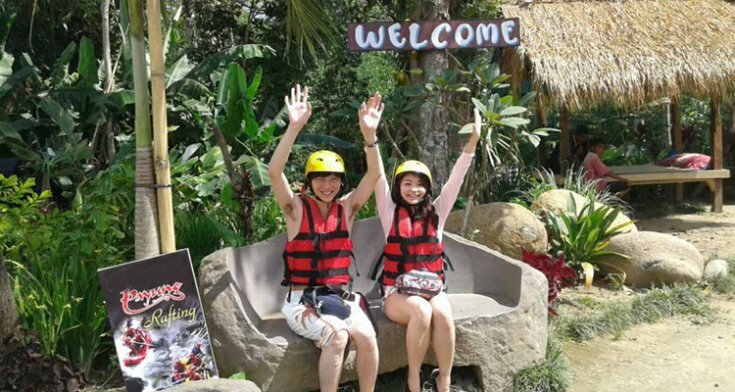 With 12 kilometers distance of rafting track, it can be quite challenging to conquer the fun filled rapids within 2 hours. 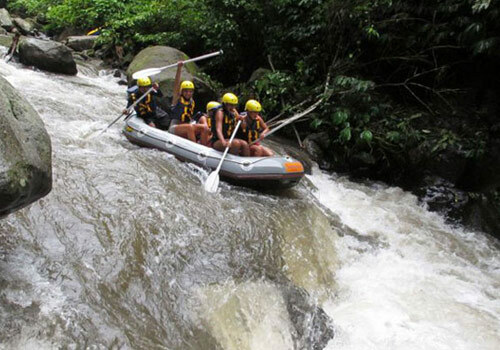 Ayung Rafting Ubud is also known as one of the best white water rafting with spectacular view of unspoiled rainforest and wildlife (such as beautiful Blue Javan Kingfisher), including rice fields, magnificent (hidden) waterfall and amazing stone carving on some area of the river walls. 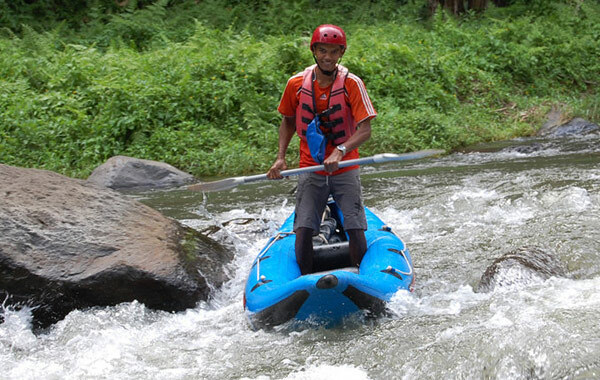 With only 1.5 hours approximately from Kuta, you can enjoy this magnificent adventurous river in Ubud. However, it is not recommended for elderly due to the long stairways which require efforts and some strong legs to get to the starting point in the river from the lobby area, and vice verca. 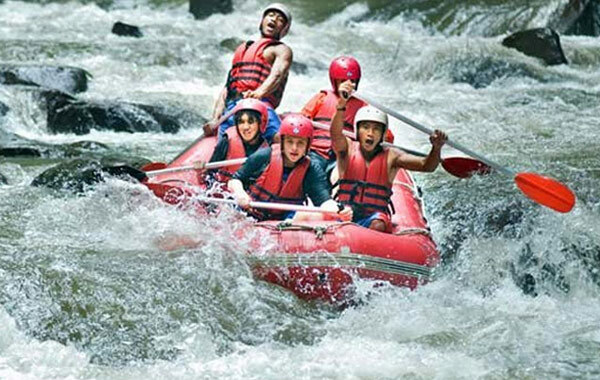 Each participant will be briefed and escorted by a professional rafting guide. 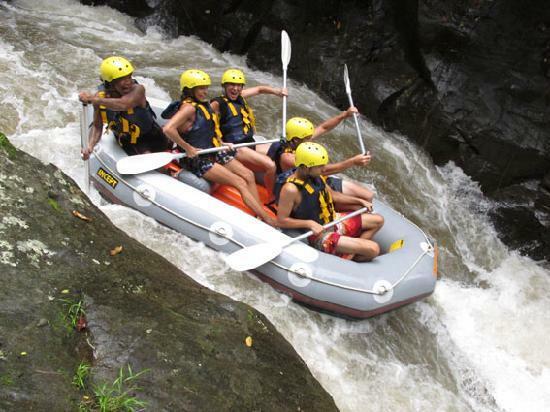 The package includes the complete safety equipment like helmet, life jacket, paddle, and insurance. If you’re still not sure which track you should take, feel free to contact our team to discuss the right trip that suits your needs. Minimum booking 2 persons is required. Price based on per person. 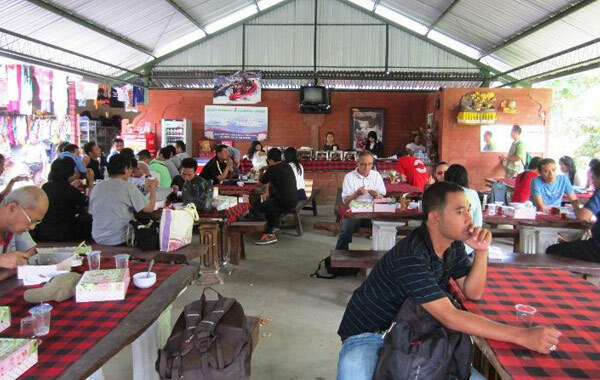 Air conditioner pickup and return hotel transfers for area “Ubud, Sanur, Kuta,Seminyak, Nusa Dua, Jimbaran”. Excluding: Price above are not include for personal expenses. Such as photo, video or optional drink at the restaurant. Money for optional drink and souvenir. 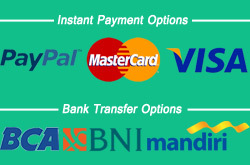 We accept payment in USD or Indonesian Rupiah based on the latest exchange rates. Payment by credit card will be charged 3% bank fee. 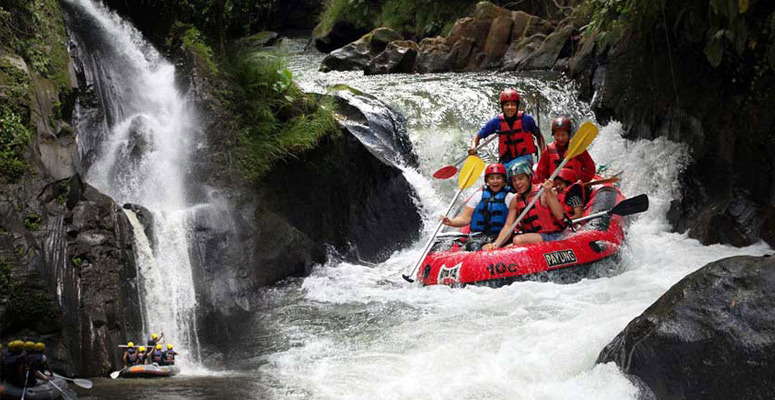 Did you try Ayung River Rafting Bali? 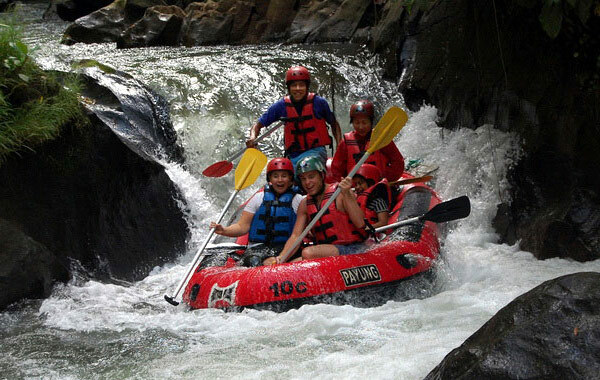 Our family of 5 including 3 teenagers had the best day of rafting. Our guide Marco was excellent and we got great value for money !! !